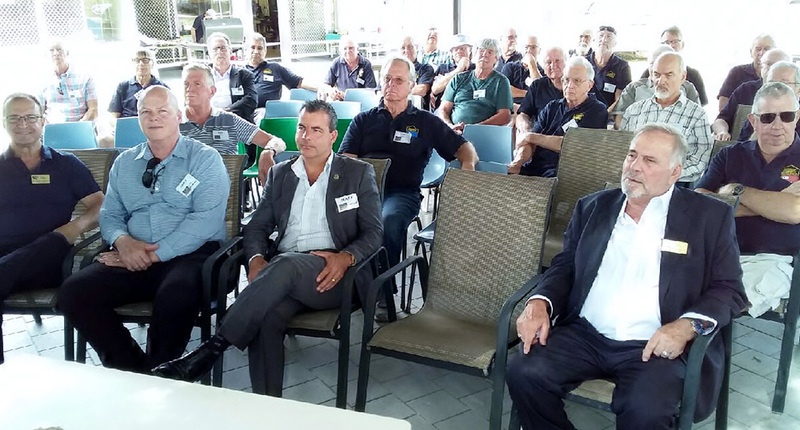 The first AGM of the Karrinyup Community Men’s Shed was held on Friday 16th November and was well attended by members as well as special guests. These included David Michael MLA, Mark Irwin – Mayor of City of Stirling, Councillors Adam Spagnolo and Giovanni Italiano, City of Stirling Director of Community Development – Trevor Holland and City of Stirling Manager of Community Service – Chris Brereton. Secretary Tony Strickland and RC Karrinyup's Ross Daniel were delighted to host the visitors. Following the formalities, members proudly showed off their shed to the dignitaries, who all stayed to share a BBQ lunch. All of them were particularly supportive and offered to help in any way they could. David Michael MLA has asked for a membership application form and offered a donation, as well as support for any grant applications we may make. Councillor Italiano suggested that we consider taking the historic “Bond Cottage” as a restoration project and this was supported by Chris Brereton. We would be financially supported by the Council if this goes ahead. All in all it was a very positive outcome as well as a very enjoyable social event for Shed members. 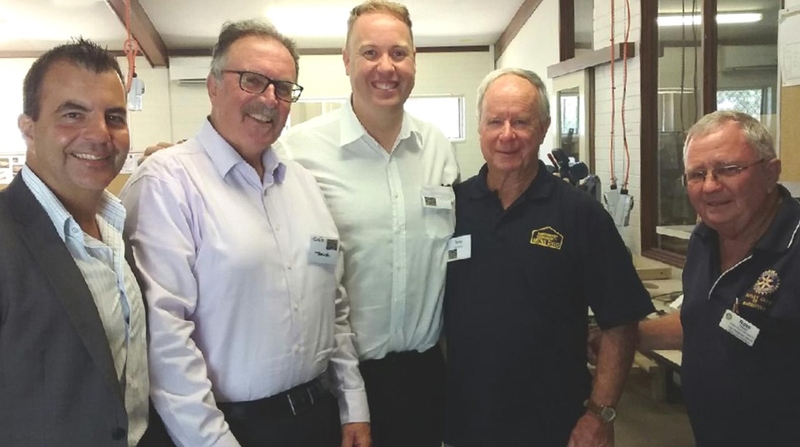 The Karrinyup Community Men's Shed has been planned for a number of years and is now a major Community Service project of the Rotary Club of Karrinyup.